Your home should make the most of your allotment, not just in terms of sizing, but also in terms of allowing you to enjoy your outdoor space to its full potential. Gallery Living's Turner 220 design has a strong focus on linking indoor and outdoor spaces, making it perfect for blocks with a view. 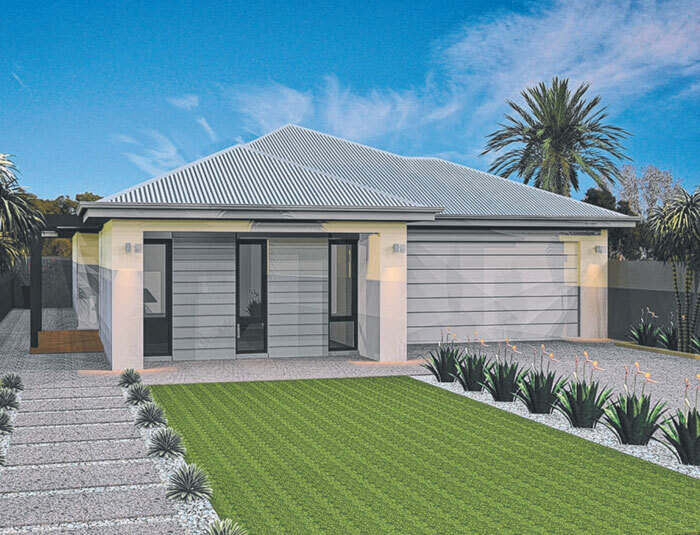 The relaxed layout of this three bedroom home expands across 221 sqm of total size, providing plenty of secluded space for families to spread out. A private lounge room at the front of the design can be enjoyed as an oasis for adults or converted into a home theatre or children's retreat. Further down the hall, a home office or fourth bedroom is placed so it can be easily shut off from the rest of the home, perfect for the kids to do their homework in peace. The house expands to an open living and dining/kitchen space, which opens up on two sides to the alfresco and a side courtyard for entertaining. An island bench separates the kitchen and living area, giving families plenty of flexibility to use this space to meet their needs. The master suite is spacious and features a popular his-and-hers sliding wardrobe along with an ensuite fitted with a large shower and vanity. Tucked behind the kitchen, the remaining bedrooms are located down a hidden hallway and nestled around the main bathroom, complete with bath, shower and vanity, and laundry with outdoor access. For homeowners who like making the most of the outdoors, Gallery Living's Turner 220 is a great investment and designed to easily fit on a courtyard or villa allotment. Double garage: Just because you're building on a narrower allotment doesn't mean you should lose out on a double garage, a great asset in any family home. Double storage: Bedroom one has a clever ensuite tucked out of sight plus there's two sets of built-in wardrobes. Side entry: Having a hidden entrance on the side of your home gives you privacy and lets you make the most of your front garden. Find out more about the Turner 220.